Danforth provides Testing, Adjusting and Balancing (TAB) services in New York State. Building systems are designed to perform at their best in test conditions. This does not reflect the real-life conditions that are in your facility. Testing, Adjusting and Balancing (TAB) procedures are used to fine tune your building systems to perform optimally in your facility. Our Team of experts can increase the efficiency of your environmental systems while decreasing the operating cost simultaneously. 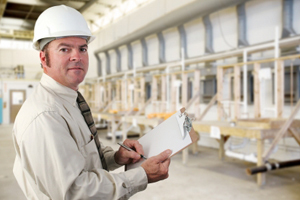 Environmental Systems are crucial to maintaining a comfortable, healthy facility. Today’s buildings provide highly controlled indoor environments which if not properly tested, adjusted, and balanced may not offer significant financial and comfort benefits. Our Team of experts strives to maximize your environmental system’s performance while minimizing overall operating costs. These “Green Goals” can be accomplished by working hand-in-hand with our NEBB Certified Professionals and Technicians. Our Team is recognized by the industry and building owners as TAB Specialists. We have the right mix of talent, experience and resources to measure the efficiency of a building’s environmental system and formulate a customized solution for our clients. To ensure quality, the Danforth TAB Team adheres to NEBB Certified procedural standards. We offer New Construction Certified TAB, Existing Building Assessments and Duct & AHU Leakage Testing. Start Your Testing, Adjusting & Balancing Project with Danforth. Meet with one of our Testing, Adjusting & Balancing consultants. We’ll outline our process and begin your project estimate. Fill out an Online Estimate and we’ll reach out to you with a Testing, Adjusting & Balancing proposal drafted to your exact specifications. Get answers about our Testing, Adjusting & Balancing services and speak with a knowledgeable Testing, Adjusting & Balancing Expert.